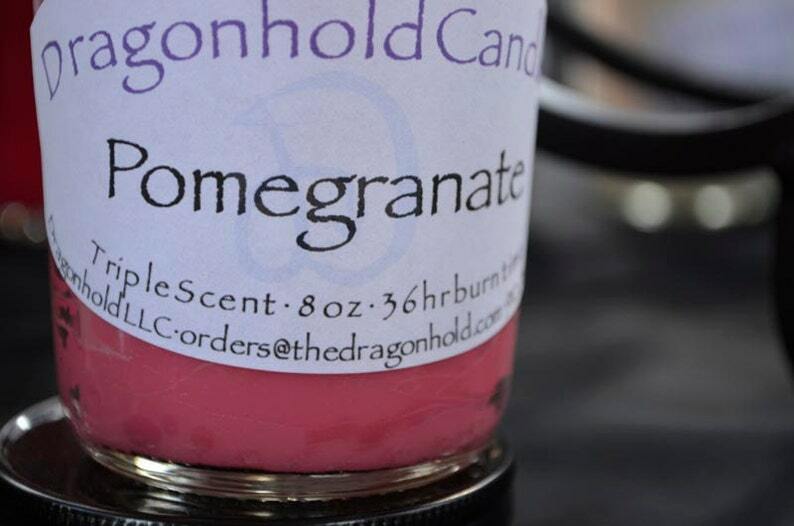 Pomegranate: A blend of sweet, juicy notes of pomegranate with a smooth back end for an appealing year round fragrance. The sweet exotic fruit smell is a fresh alternative for those inundated with the heavier smells in the fragrance line. A slight floral hint binds together the amazing throw of this scent. One of our strongest sellers, we usually run out of this one first at our shows and festivals. Pink like the pomegranate it is named for.